Are you traveling in a remote place? Do you need reliable coverage in case of an emergency, when most communications aren’t working? Then consider getting the best satellite phone you can afford because you need to be prepared. Keeping in touch with your family and friends, as well as sending SOS signals and receiving useful notifications are core for outdoor survival and emergency preparedness. So read our article: it contains key info on how to pick a reliable phone and six great products to choose from. Getting this sort of phone isn’t easy because you need something reliable and durable, made from quality materials, that can be used in places and at times other phones don’t work. You need to get a phone that resists the weather, high and low temperatures, as well as various shocks and impacts that might occur during your trip or the emergency. Make sure it has a high ingress protection factor, that tells you if the phone can still work during rains or storms. Another thing is to look for user-friendly characteristics, like an ergonomic grip, a backlit display, and illuminated keypad. All that will make your life easier. Get something that can work for hours at a time without any problems. Most models below will function non-stop for 3-4 hours and withstand 30-something hours on standby, and that’s the norm. But if you’re traveling in remote places without any wall socket nearby for days at a time, get a phone that lasts longer. Check out our best picks for solar phone chargers to help you with more choices. At this point look for anything that you need to use this phone for. The majority of phones will let you send and receive text messages, but if you want to use it for e-mails, search for that specifically. Some phones can even be turned into Wi-Fi hotspots, so that’s a useful feature if you need access to the world wide web. If you’re planning a more extensive hiking trip, you might need GPS tracking or weather/ disaster notifications too. And if that’s the case, look for reliable coverage, you don’t want to be left in the middle of nowhere without your emergency communication tool. How complete is your package? You might need a SIM card, with prepaid minutes or a convenient monthly subscription plan. It’s also great when there’s an included battery, and at least one charger. Some models come with an international charger too, as well as with different adapters. You might be interested in an USB port, an antenna for extra coverage, or whatever else might tickle you pink. Depending on where you’re going and for how long, make sure you get a phone that’s easy to carry. If you’re going on a shorter trip, you need something smaller and lighter to fit in a more compact backpack. A bigger phone is advantageous for a more prolonged trip when you can share the load or travel by car. All these factors can be seen at play when you’re researching the market. We’ve done that, and the phones we’ve selected fill the bill for most intents and purposes. That being said, take a look at the awesome products below. 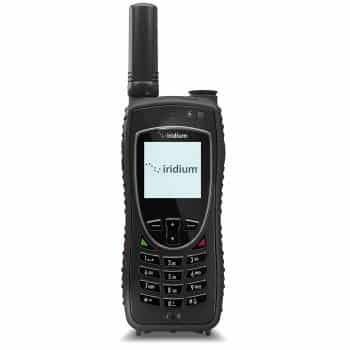 The Iridium 9575 Extreme Satellite Phone is a 4 stars product that does its job well. The first thing we like about it is its sturdy construction, with an extra-high ingress protection factor of 65. Its military-grade build is rated MIL-STD 810F, so you know it will last for a long time, resisting most impacts that can occur in the case of a disaster. These ratings mean that the phone is resistant to dust, shocks and jet water. The phone can function without being charged for a maximum of 30 hours if you’re not using it much. But if you were to talk constantly, it would still last 4 hours straight. Apart from talking, you can send and receive SMS and it also has a short email capability, so you can stay in contact with people who matter. But you’ll have to remember it has a 28.8 k modem, which isn’t so fast by today’s standards. That means it doesn’t make calls or send emails fast, so it’s better for text messaging. Another negative here is that the included minutes for the calls will expire really fast, so you need to activate the phone right before going on your trip or before the emergency. Otherwise, if you want to have a phone that’s on standby on a more permanent basis, you’ll need to purchase a more pricey subscription plan. 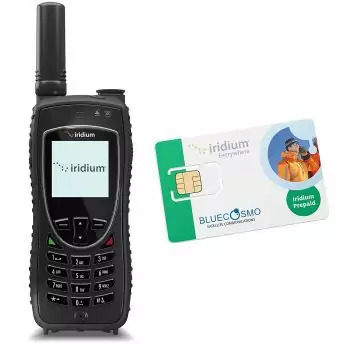 You’ll have access to the Iridium’s global coverage for the above services, but you’ll have other facilities too, like a GPS you can customize on your own, online tracking, plus emergency SOS with included notifications. Moreover, you can even turn this phone into a hotspot thanks to its AxcessPoint technology. The keypad is illuminated, so you can see quite well in case of a power outage or when you’re in the wild at night. This keypad is resistant to the elements too, so you can use the phone in various weather conditions. In fact, it’s manufactured so well that it can withstand temperatures between 14 F and 131 F.
The downside is that no matter the weather, you need a clear sky so the phone can connect to the satellite. It might not even work so well if there’s a window between the phone and the satellite. All in all, we like this product because it does what it should. It doesn’t have fancy smartphone apps, but it’s really robust and reliable, as well as portable thanks to its small weight and compact dimensions. 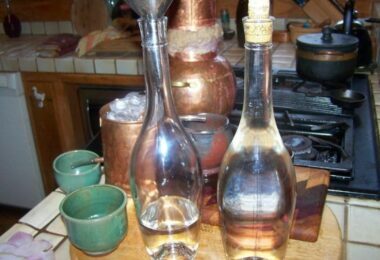 That makes it perfect for an emergency survival pack. Can cover various ways of communication. Need clear sky for satellite use. Related: We highly recommend buying a the Iridium prepaid SIM card for this phone. 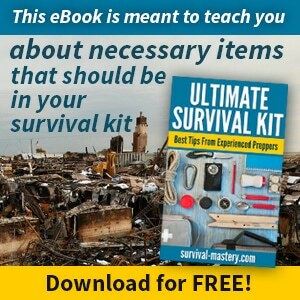 It has 75 minutes included, that work for a period of 30 days, so you got your bases covered before going on a wilderness adventure or if you have news about an incoming emergency. There are no activation fees for this, plus you’ll have voice mail and you can even roll over your minutes if you recharge before the 30 days limit is over. 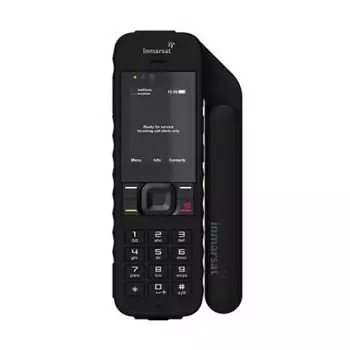 The Inmarsat IsatPhone 2 is a 4.2 stars kit with a price that’s half the product’s above but includes more accessories as well as a SIM card that you can activate on the spot. However, you can delay this activation for when you really need the phone. Plus, you can choose from a wide range of airtime options that come either in a prepaid form or based on a monthly contract, without any activation fees. If you need additional airtime, it’s easy to add that to your plan when the necessity arises. You’ll have a global coverage for this phone, which is pretty neat. The calling charges are flat-rate, and you’ll be able to do a bunch of stuff like send messages, call people or use the GPS wherever you might be. Unless you’re in the polar regions, it doesn’t work there. There aren’t any roaming charges either, so people can call you without paying extra fees for that. The included accessories are the lithium-ion battery and a charger needed for this to work. If you’re traveling abroad, there’s an included international plug kit for different wall sockets. But there is additional stuff like a holster, an earpiece and an USB cable that are really convenient. There’s a start guide to let you know how to work your way around this phone too. One of the negative aspects of this kit is that it’s not that portable. It weighs quite a lot and it’s way bigger than the previous product we reviewed. 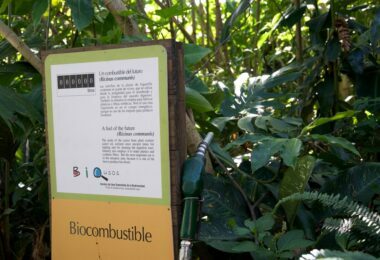 But it’s equally resistant as the manufacturer swears it works well in high and low temperatures alike, as well as challenging weather like wind storms or rains. Plus, it offers more talk time, 8 hours straight, as well as 160 hours when it’s on standby. The keypad isn’t all that great either. Though it’s illuminated, the light will turn itself off at some point when you’re writing the message, and it won’t turn itself back on. Related: If you misplace your included sim card or you want to have an additional one for someone else to use, you can get this Inmarsat Prepaid SIM that comes with 250 units. This means you can talk for 192 minutes straight, and the option is available for 6 months, so it’s an advantageous purchase. The BlueCosmo Iridium 9555 is a 5 stars kit, but it’s really costly too. You’ll get a sturdy phone, as well as a SIM card that has 1000 minutes on it, so you can talk the ear off to whomever you want. Plus, the validity of this card reaches 2 years, which is way more than the previous products we discussed. We also love the high coverage you’ll get with this phone. 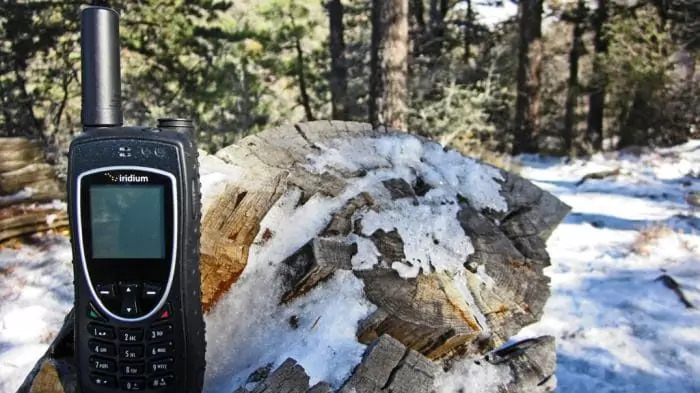 While the Iridium Extreme needed a clear sky to work and direct access to a satellite and the Inmarsat phone didn’t cover the polar regions, this phone covers the whole of Earth’s surface. You can visit the poles, travel by sea or by plane, and you’ll still get coverage everywhere. You can use this phone for calling, messaging and emailing people, and you can even use the integrated speaker in case there are more people by your side or if you need to use your hands for something else. You will also be able to receive calls, texts, and e-mails, but the maximum talk time is just 3 hours, and the max standby time 30 hours. We also like this phone for portability reasons, because it weighs little and it’s also compact. Plus, the 5 inches antenna can be stored inside, which makes it all the more portable. There’s also an auxiliary adapter for this antenna, and two guides to show you how all this works. But even if it’s small, it’s still resistant, it has an ergonomic grip and a reduced footprint. It can work at really high and low temperatures between 14F and 131F, the keypad is resistant to extreme weather and is well illuminated, but you’ll also get a holster case made from leather for added protection. There are a lot of extras with this kit too, like the needed lithium-ion battery, two charges as well as an international plug kit. 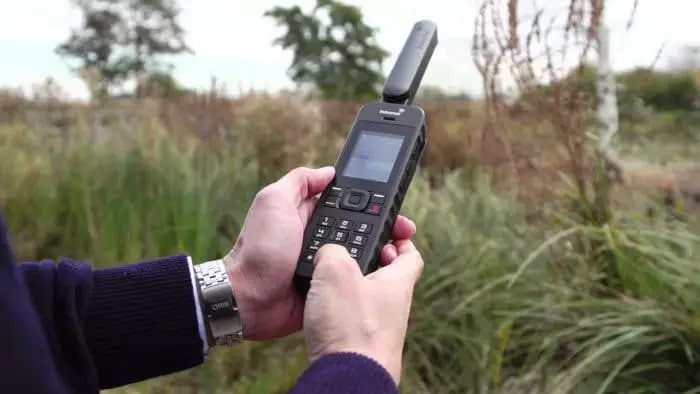 The Globalstar GSP-1600 is a 4 stars phone that has some pretty neat features. You can use it for calling and sending texts, but it will also show you how much battery you have left and how strong your signal is. You’ll get voice mails too if you turn it off, and you have a call log to keep track of your calls. The thing we like the most about it though is its 99 memory location that comes with an ability to restrict unwanted calls. We like that you can configure all call timers, and there’s an included minute alert to let you know how much minutes you have left. That’s really user-friendly because it will help you save some money. Another user-friendly thing is that you can lock the keypad and set a code for more security if you don’t want anyone else using it. Plus, there’s the GSP-1600 handset for an easy use. One of the things we’re not crazy about is the talk and standby times. You can use it for 3.75 hours straight, and it can be on standby for 19 hours. That’s way less than the Inmarsat phone for instance, but the price is lower too. We’re not crazy about the weight and dimensions either, but it could be a lot worse and that puts the Inmarsat at a clear disadvantage. Despite that, we like the large temperature range this phone can work between, 4°F to 131°F, and it can be kept in a pretty wide temperature range too: 22°F to 140°F. 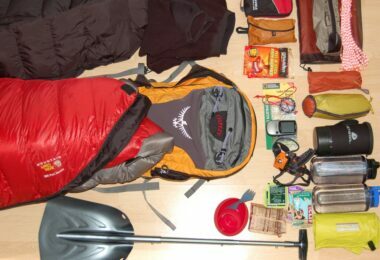 That makes it perfect for various outdoor trips, but it’s not that great for international travel, though. It only includes a wall charger specifically designed for North America, but it’s also an older model with a short delay when talking. 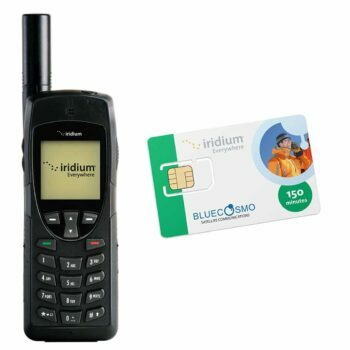 The BlueCosmo Iridium Extreme is a 4.6 stars kit, with the prepaid SIM included. You just have to buy prepaid airtime on the BlueCosmo website, but there won’t be any activation fees or extra charges for this. You can even get extensions, or roll-over the left minutes if you’re recharging your credit before the expiration date. You can make calls and write texts at a pretty low rate, with the good news that the incoming messages don’t cost anything. There aren’t roaming fees either, so you can use this phone literally anywhere. You can even be at the poles, on a plane or sailing across the Atlantic, you can still use the GPS, call, text or get emergency help by using the SOS button. The package is really comprehensive since there are a lot of useful stuff you’ll get apart from the included lithium-ion battery and the two chargers, one for international wall sockets and one for your car. For maximum portability, you’ll get a holster that can be attached to your belt, as well as a hands-free earpiece. There are various adapters included, such as the USB, the one for power and the one for the external antenna that comes with a TNC connector. The antenna has an extra magnetic mount and a 5 inches long cable. 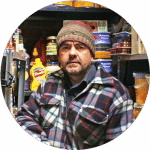 There are also a couple of guides to help you with all that if it all seems overwhelming now. But the thing we love the most is its strength and durability. Just like the Iridium 9575, this has an ingress protection of IP65 and an 810F for military standards. So it can withstand various shocks, blowing rain, dust, and vibrations. The built-in microphone is resistant to the wind, so you can understand your interlocutor even during a storm. The only disadvantage for this phone, apart from its high cost, is that the time plans you can buy are pretty confusing. So if you’re not careful, you can even lose some money because of an incompatible option. But this phone can really help you when you’re in danger though, thanks to its permanent connection to GEOS. And you’ll also receive various geofencing alerts and weather forecasts, plus frequent check-ins. The downside here is that the phone will only last 3 hours of talk time and 30 hours on standby, which is a lot less than the standard set by Inmarsat. 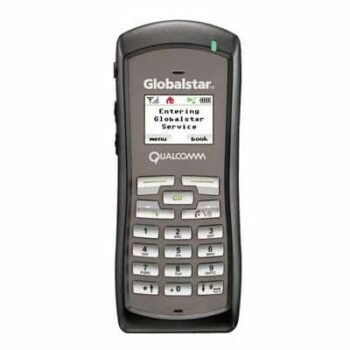 The Globalstar GSP-1700 is a 2.6 stars phone that has one big advantage: its portability. 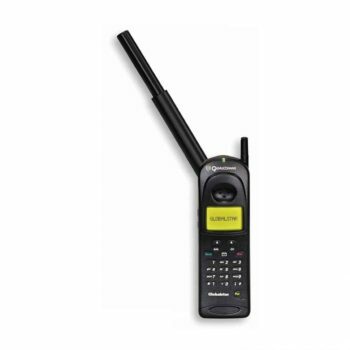 Up til now, it’s the smallest, lightest satellite phone from all our reviews. So it has a comfortable use and an ergonomic build that render it user-friendly. It has a lighted keypad so you can see when it’s dark outside, while the color display is backlit and perfect for daytime use outdoors too. The battery can last for longer than other, more proficient models we’ve seen here. You can talk constantly for 4 hours, and it will hold you 36 hours maximum if you keep it on standby. 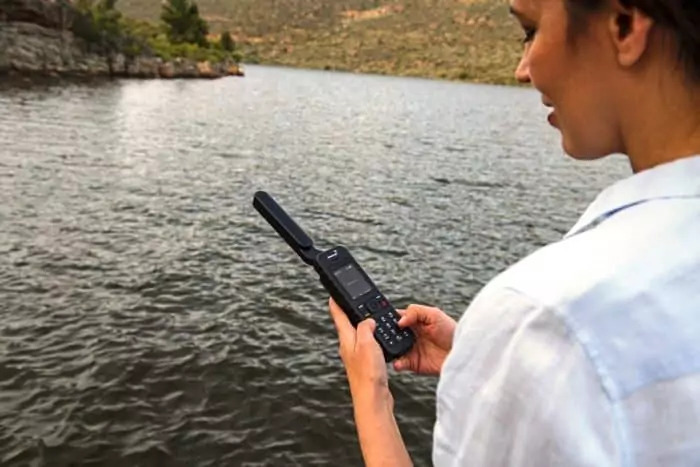 The voice quality is pretty good too, and the data speed is the highest when it comes to handheld satellite phones. This makes it great for management people who want to keep in touch with their offices from remote work sites. That’s because of reduced costs compared to other cell services. You can even use this phone to send or receive e-mails, which is even better. On the other hand, don’t count too much on its ability to provide service in very remote locations. So don’t use it in the case of an emergency, but look at it as a backup plan. There’s also a problem when it comes to the voice mail feature since sometimes this phone will only register the number you’re being called from, and not the actual message. Related: Turn your phone into a hotspot with the Globalstar Sat-Fi Satellite Hotspot. This is great from an efficiency standpoint, as 8 different people can use it at the same time for extra coverage and communication. All the products we reviewed have unique qualities. Some have really long lasting batteries, but are rather heavy, like the Inmarsat, which makes them perfect for long trips in the wild. With others, you’ll get global coverage, but less battery time, like with the BlueCosmo models. Other are just extremely portable, without being able to reach remote locations, like Globalstar GSP-1700. Most of these products allow you to send and receive calls, texts, and e-mails, but some have GPS, weather notifications, and SOS buttons. Some have included monthly plans or minutes, some cost more and some less. In the end, you’re the one choosing according to your purposes and needs. So let us know: which phone will you get and why? The comments are right below.